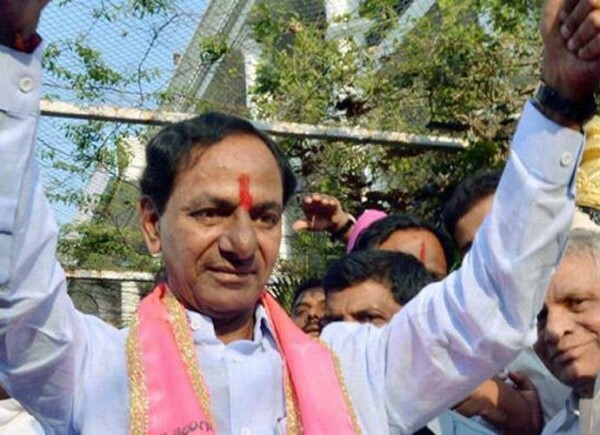 Home #BigPoliticalGain Can Congress-Led ‘Prajakutami’ Defeat ‘KCR Or TRS’ In Telangana Elections? Can Congress-Led ‘Prajakutami’ Defeat ‘KCR Or TRS’ In Telangana Elections? 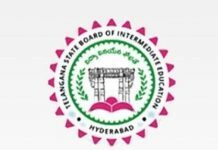 The electoral challenge to the ruling Telangana Rashtra Samithi (TRS) and its strongman K Chandrasekhar Rao (KCR) is slow in the making, but the rival Congress steered praja kutami (people’s alliance) is determined to dislodge the TRS in the first-ever assembly election, being held after the constitution of the fledgeling state on June 2, 2014. Barely four weeks remain for the polls to the 119 seat legislative assembly on December 7. All that the alliance has confirmed so far is that they are getting their act together. Congress president Rahul Gandhi and TDP chief N Chandrababu Naidu were beaming when they presented themselves for a photo op in Delhi on November 1. The exact number of constituencies to be shared by its members – the Congress, Telugu Desam Party, Telangana Jana Samithi, and Communist Party of India – has not been firmed finally. With a large number of hopefuls, in several cases three or more influential or aspirants in a constituency, the Congress is the dominant partner retaining three of every four seats for its contestants. It is only after the names of the constituencies are decided, that the names of the contestants will be announced. The alliance partners are trying to ensure that it doesn’t sour the Deepavali season for any aspirant, and are preparing to divulge the details only on or after November 9. There has been an inordinate delay in this considering KCR had hinted well ahead of September 6 – the day he announced the dissolution of the legislative assembly and named 105 of the TRS candidates – about his strategic intention to advance the election. What he perhaps did not factor in was there will be a long 90 day run-up to the polls. This has proved costly for the TRS in sustaining an overlong campaign. Some TRS nominees have found novel means of keeping voters interests going. This includes free shaves in local barbers shops, making public shows of touching random elders feet, holding public cookouts, helping residents carry water, and even helping with feeding infants. ALSO READ: Tollywod Superstar And TDP Leader 'Balakrishna' To Lead TDP Campaign In Telangana Elections! The Congress, with the alliance management constraints, has unwittingly presented the praja kutami as a threat. A fortuitous advantage from leaving the field open – the rancour against the TRS is in the open. By delaying the announcement of its list, the alliance hopes to minimise damage caused by rebel trouble with those denied tickets entering the race as independents or as candidates of other parties including the TRS and the BJP, which plan to contest in all constituencies. There will be erosion in the votes for the alliance for want of a smooth transfer between the constituent parties, as well as influential aspirants denied praja kutami tickets joining in to chip away at its collective strength. Another inherent disadvantage is the alliance’s inability to present a chief ministerial candidate, though the Congress is the dominant partner. Their hope is the adverse impact of anti-incumbency, and people’s support coming to their rescue. Analysts argue that public ire in several villages against the TRS contestants is a manifest of groundswell against the ruling party. ALSO READ: Now, 'Congress In Telangana' Becomes A 'Sinking Ship' For Aspiring Leaders! KCR is conscious of the dissent, but not unduly worried. He is banking heavily on the sop saturation strategy – every eligible family in the state is covered by at least three of the slew of welfare schemes initiated by his government. This enabled the Congress chief minister YS Rajasekhara Reddy to win several seats and get a second term in office in 2009. How TRS Is Wooing ‘Andhra Settlers’ To Support In Telangana Elections?